This octopus is a stunning addition to any coastal-inspired table decor. 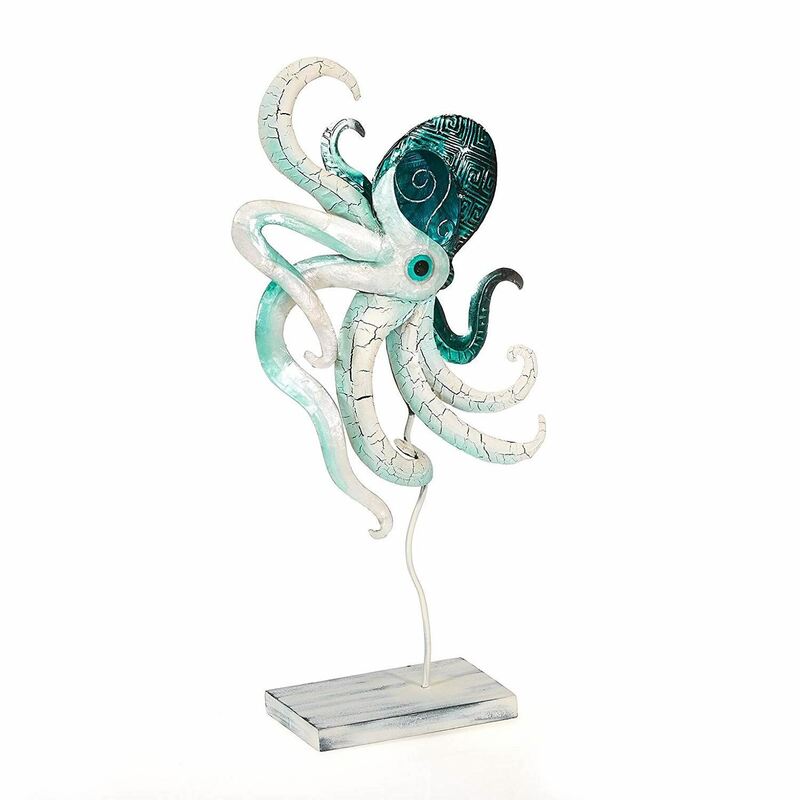 This octopus is a stunning addition to any coastal-inspired table decor. Perched atop a small rectangular grayish-white base, connected by just a thin strand of metal, it almost seems like this unique creature is swimming in the sea. The coloring of this octopus adds to its beauty. Its body contains interesting patterns of dark green and black, a ring of sea green encircles its deep black eye, and most of its eight legs are ivory with pops of sea green except for two that are dark green.